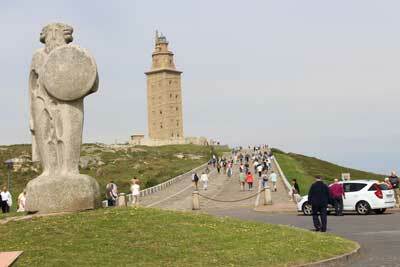 We have made two short cruises around the Bay of Biscay. Both started and returned to Southampton, each were for a duration of one week. The first was on the Emerarald Princes in May 2014 and the second on the Azura in April 2016. The itineraries were similar the ports of call of the Emerald Princess being La Coruna, Bilbao, Bordeaux and Gurernsey while the Azura first went to Gurernsey followed by La Coruna, Bilbao and La Rochelle. 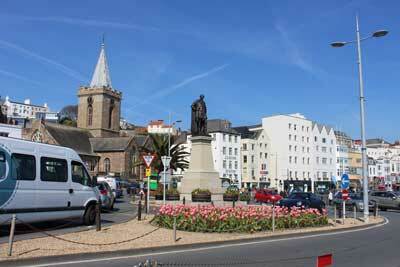 On both occasions we drove there and back to Southhampton. 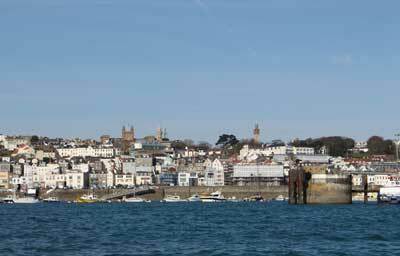 Guernsey – There are no docking facilities for cruise ships at Gurensey. Ships anchor some way off the quay side and the ships' tenders take you ashore. 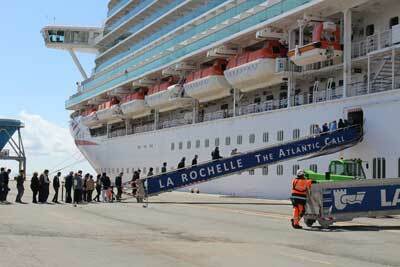 You must have some mobility to be able to use these otherwise you cannot go ashore. This meant only I could go ashore which I briefly did on one of the visits here to stretch my legs and do a little bit of shopping. 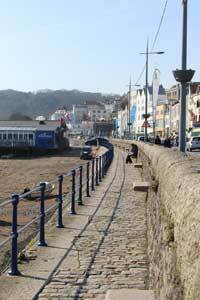 It is a short walk from the quay side to the shops and cafes and in fine weather I enjoyed a pleasant stroll along the seafront and a stop at a cafe for a coffee before returning to the ship two hours later. 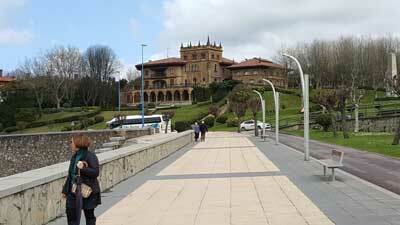 La Coruna – La Coruna has a deep water harbour and cruise ships can dock alongside the town which occupies a peninsular. It is an easy walk into town. 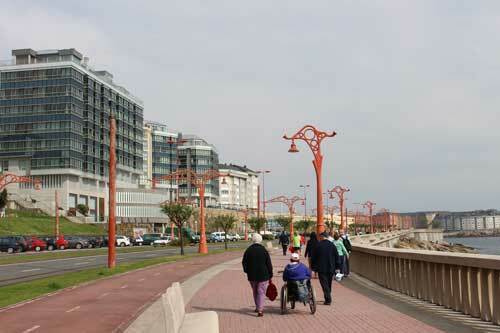 Alternatively there is easy access to a long level seafront which has wide walkways and a cycle track running along the coast around the town. Its a pleasnat walk of just over 2 miles along this walkway from the port to the Hercules Tower, one of the very first lighthouses. The journey can be made shorter by cutting through the old town but this will involve negotiating some steep slopes. 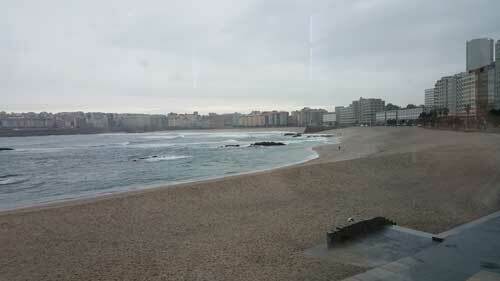 Opposite the port, directly through the modern area of town and only a short walk of under half a mile is the sweeping bay and beach of Praia de Riazor. 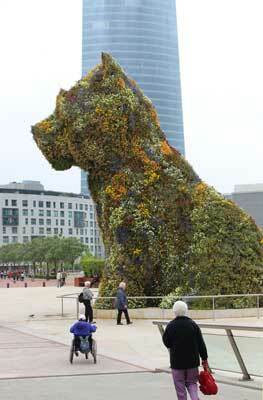 Bilbao – Another deep water port. However, it is some distance from the city but a wheelchair friendly shuttle bus has been provided on both the visits we have made here. The journey to the city center takes about half an hour and the city is not difficult to get around. 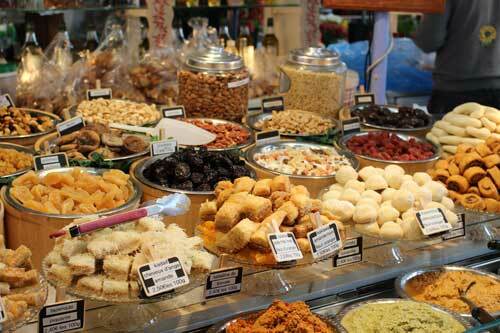 On the first visit we utilised this service visiting the Guggenheim Musuem and strolling around the city center. 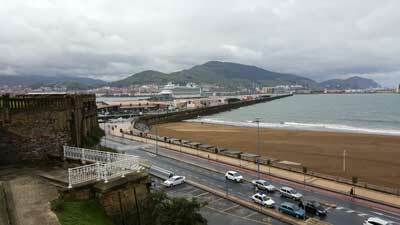 On the second visit, on a greyer day, only I went ashore for a walk along the wide seafront which overlooks the harbour. It turned out to be an interesting walk which first passes a beach on one side of the harbour wall and on the other side along a wide long walkway, grand old villas which overlook the bay and the harbour. Plaques on the sea wall recount the history of many of these villas in both English and Spanish. Bordeaux -The port for large cruise ships was no where near Bordeaux and the Emerald Princess actually docked on the south bank of the mouth of the Garonne river just about opposite Royan. The nearest place of any interest was the small town of Soulac sur Mer to which a wheelchair accessible shuttle bus service was provided. A Tour to Bordeaux was a 65 mile coach trip away and this was not wheelchair accessible. 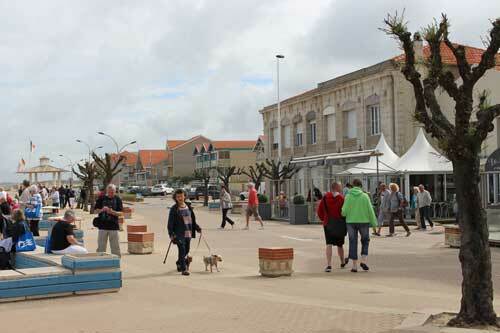 There was absolutely nothing near the dockside so we settled for a morning trip to Soulac sur Mer where we visited a small market, strolled along the sea front and stopped for a drink and a snack in a seaside cafe. 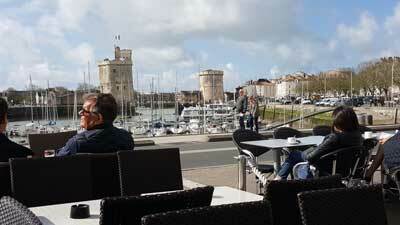 La Rochelle -The ship docks in a fairly desolate area close to the bridge across to the Ille de Re. 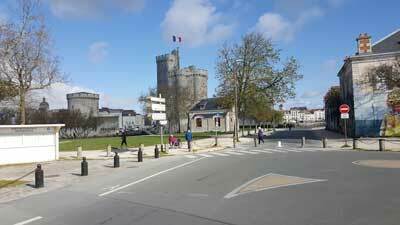 However, a shuttle bus service was provided for the 30 minute drive into La Rochelle. These were all wheelchair accessible and the pretty town of La Rochelle with its picturesque harbour is worth visiting. We spent the morning site seeing, then had an inexpensive lunch in a harbourside restaurant before returning to the ship in the mid afternoon.